We invite the women of the Heard Museum to join our curatorial and development staff for a seminar led by certified financial planner and philanthropist Harry Papp. Learn about planned giving topics such as estate plans, annuities, trusts and other legacy gifts. Breakfast buffet sponsored and catered by Atlasta Catering Services. Free for Maie Bartlett Heard Members and Circles of Giving Members; all others $20. In the Monte Vista Room. To register or for more information: Rebecca Simpson, rsimpson@heard.org or 602.251.0245. 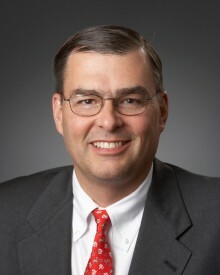 Harry A. Papp, managing partner of L. Roy Papp & Associates, LLP.